Acess to codes, journals archives, encyclopedias, acts and forms, etc... [in French] (Business - Associations - Civil - European and international - Real Estate - Criminal - Administrative litigation practice - Public - Social). Access to the full text is subject to availability. Access to nearly 4000 full-text academic journals (case studies, economic reports, SWOT analysis, country analyses and company profiles). Uses: "Memoire" - Professional thesis - Thesis - Literature review - Internship or activity report. Access to the full text articles from over 247 journals in the fields of management science. To access full text articles, select "Only content I have" when searching. Uses: “Memoire” –Thesis - Literature review - Dissertation – Research. Elsevier's Freedom Collection provides access to journals and books in science, biology, health and economics and social sciences [Full text and abstract]. Uses: "Memoire" - Professional Thesis - Literature Review - Dissertation - Research. FACTIVA give an access to international press articles, influential websites, blogs, images and videos... ( Nearly 33, 000 sources, from 200 countries, in 28 languages). N.B. : 74% of Factiva’s sources are not available on the free web. Uses : Internship report - Job forum - News /Company file - Languages (improvement). JSTOR gives you access to the full text of english academic publications in the fields of humanities and social sciences, economics and law. Uses: “Memoire” - Thesis - Literature review - Dissertation - Research. ACCES : login et mot de passe spécifique. (Access to the full text of publications is subject to availability). Orbis gives access to the full text of general company information, company fundamentals, stock data for public companies, financial strength indicators (scores and rating), ownership & subsidiaries and directors’ details. Access to thesis, academic articles, professional journals, reports... (accounting, banking, business, country information, economics, entrepreneurship, finance, marketing, management, human resources..). Uses: “Memoire” –Thesis - Literature review - Dissertation – Research. Scopus is the largest abstract and citation database of peer-reviewed literature: scientific journals, books and conference proceedings. Also, as smart tools to track, analyse (bibliometric) and visualise research (trends). Uses: "Memoire - Thesis - literature review - Dissertation - Research. This interface powered by Elsevier, exploits and analyses the usage data of researchers using Scopus and Science Direct. A ready-to-use solution, SciVal enables you to visualize research performance, benchmark relative to peers, develop collaborative partnerships and analyze research trends. Statista is one of the world's largest portals for statistics and market data. Our portal provides access to more than 1.5 million statistics, forecasts, files, studies and computer graphics on more than 80,000 subjects from more than 18,000 sources. 33,000 e-books available - A Scholarvox account is required (activation via Office 365). The activation of your account is necessary to view the full text of the e-book and to use all the community functions (add a comment, consult a teaching bookshelf, create its library, note and highlight...). 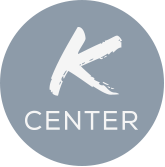 Tutorials available on the Youtube KCenter channel.